adapts these to Western conditions and patients. 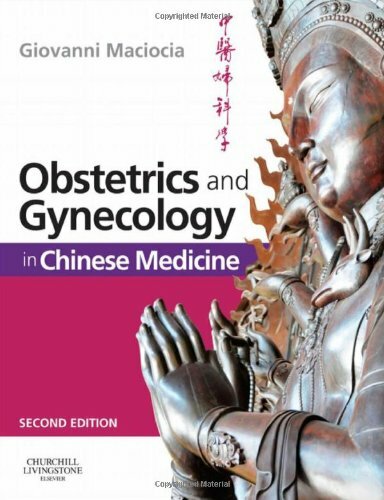 New for this edition: New attractive two-colour layout with book marks to ease navigation Endometriosis and its treatment now included and fully covered in a new chapter Infertility chapter includes recent research highlighting factors in infertility All prescriptions now removed from the text and attractively presented in three appendices: Patient Remedies, Prescriptions and Three Treasure Remedies “Obstetrics and Gynecology in Chinese Medicine is a paradigmatic work. It is tempered with reverence and innovation, meticulous archival attention and detailed modern clinical insight. When future generations look back at this workâ€¦they will find not only knowledge and wisdom but also reasons for inspiration and awe.” From the Foreword to the first edition by Ted J. Kaptchuk, Associate Director, Centre for Alternative Medicine Research, Beth Israel Hospital; Instructor in Medicine, Harvard medical School, Boston, USA.